The Lyle Activity Center is managed a board of volunteers. Many community members contribute their time and energy to helping maintain the building and greenspace for all to use. 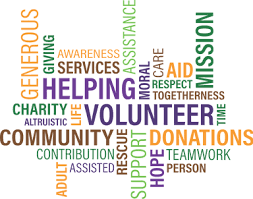 Our volunteer board is called Old Lyle Elementary School Supporters (OLESS) and we are part of the Community Enrichment for Klickitat County (CEKC) a 501 c 3 Nonprofit Organization. OLESS is also a registered Washington State Nonprofit. Many other community members regularly attend our meetings and contribute to the mission. All are welcome at our monthly meetings. Check our home page for next meeting date.